Funny photo of food, arbys and roastbeef. Funny photo about food, arbys & roastbeef. 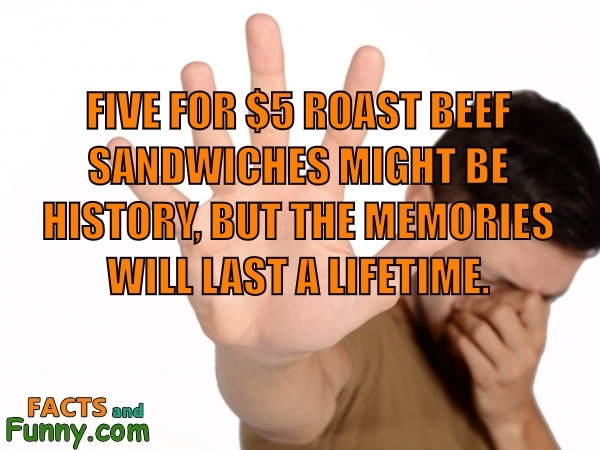 Five for $5 Roast Beef sandwiches might be history, but the memories will last a lifetime. The name Arby's is based on R. B., the initials of the founding Raffel Brothers. This content was created in February 2019.